The Vezo believe in a sort of divinity reigning over the sea. As well as on the land, on these immensities there are sacred places, or “fady”, and rites to be observed under pain of incurring the worst misfortunes. 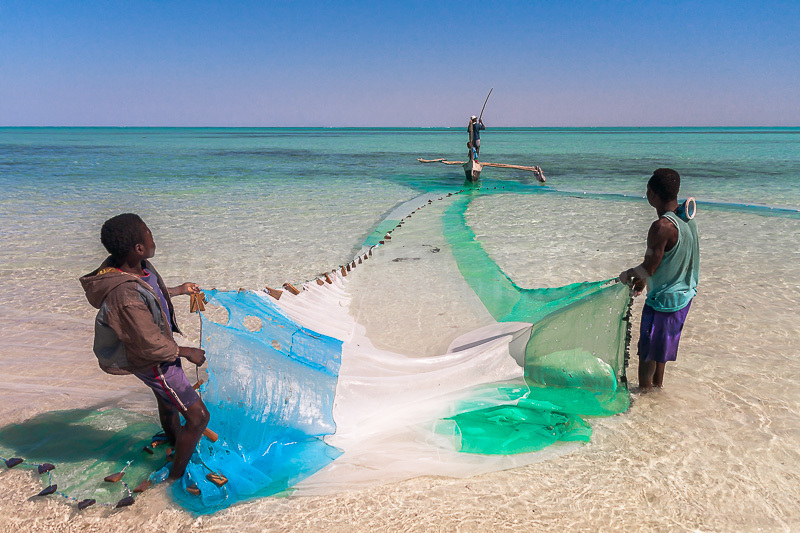 The Vezo are a people of fishermen-born. The hunting-gathering "mihake" is practiced in the zone of the coral reefs. They are mostly looking for octopus "orita" and some reef fish, sea urchin gonads "soke", shellfish" tsakody", or sea cucumbers "zanga". Sliding the canoe on the sand, the sun just rising, raising the mast and the yardarm, finding the right passage among the waves, these are ancestral gestures redone every day. Today, as in the past, fishing techniques have remained the same, namely the drag, the net and the trident. A sufficiently strong hook attached to a nylon thread weighted with a piece of round iron, a piece of aluminum foil cut into a pack of cigarettes as a lure, waiting for other baits, the muscles necessary to raise the Tuna or swordfish. The fisherman Vezo knows the precise moment and the sure gesture for the decisive blow where he will plant his trident. 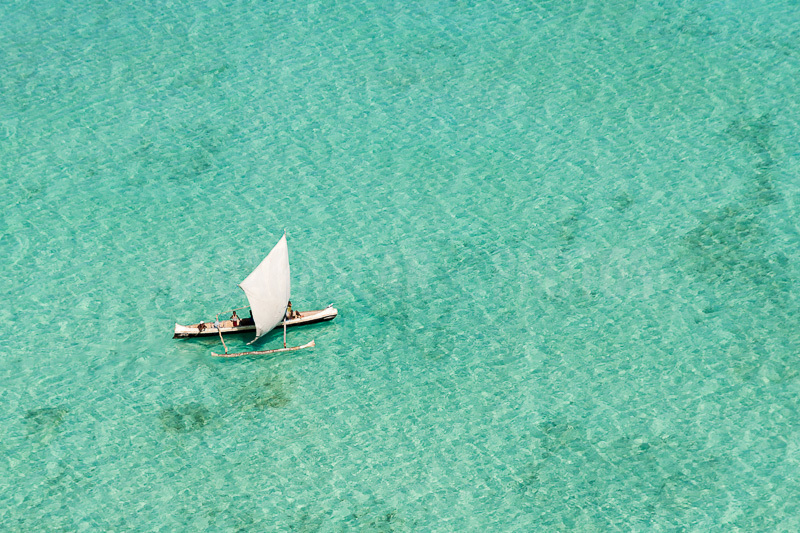 The outrigger canoe "laka" has become the iconic image of the Vezo fishermen who take them offshore and sometimes even very far from their villages of origin during the dry season. The hull is dug out of farafatse, a very light wood reminiscent of balsa. The sails, often made with sacks of rice, become tents for a stop. Vezo fishermen know many techniques of fishing: the net like the sea seiner, the hook, but also the snorkel to drive out with the harpoon the fish hidden in the crevasses. Children jump into the water with only a mask and signal to the fisherman in the dugout when they spot fish, the fisherman throws his net. Often the harvest is little.